"A cold watermelon drink that's perfect for hot days!" 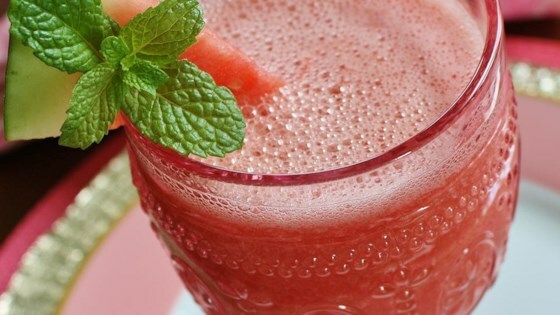 Blend watermelon, ice cubes, and honey in a blender until smooth. Five stars all the way around, for simplicity and ease of preparation, for presentation, and for pure, refreshing deliciousness. Great way to use up some over-ripe melon. So refreshing, delicious and so easy! I thought maybe the honey would make it too sweet, but it's perfect. A taste of summer! Thanks for the recipe.